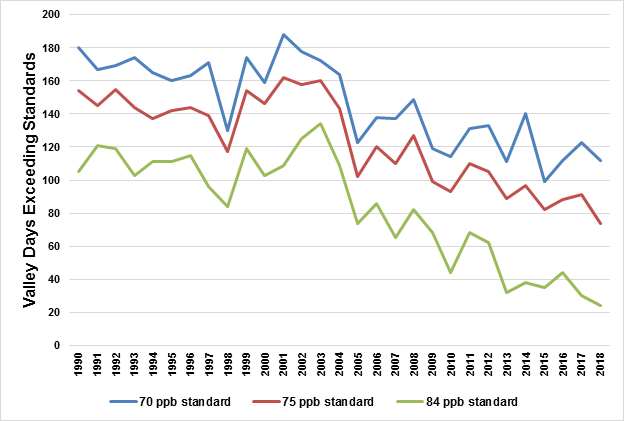 In 2018, the Valley continued to demonstrate ongoing ozone progress by achieving a new record low design value of 90 ppb, which is now only 6 ppb away from attaining the 84 ppb standard. In 2018, the Valley continued to demonstrate ongoing ozone progress by achieving a new record low design value of 90 ppb, which is now only 6 ppb away from attaining the 84 ppb standard, despite record wildfire smoke impacts during the summer peak ozone period in 2018. 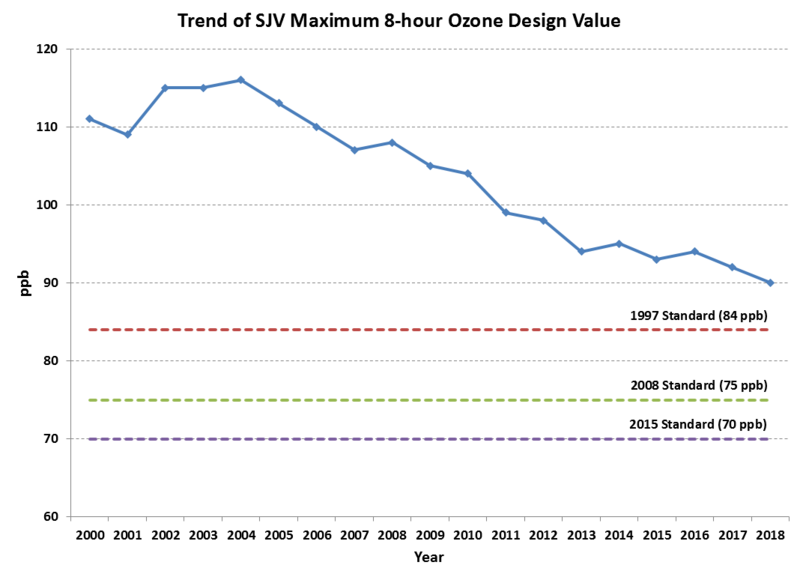 Despite significant wildfire smoke impacts across the Valley, 2018 continued the declining trend in the Valley’s 8-hour ozone design value; now only 6 ppb away from attaining the 84 ppb federal 8-hour ozone standard.